Can California Taxpayers Dodge the Bullet Train? A lawsuit may derail a project that was suppposed to cost $45 billion and is now $70 billion and counting. 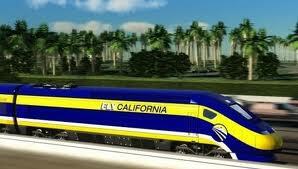 California's bullet train was conceived 20 years ago from Quentin Kopp's infatuation with European high-speed rail. His beautiful brainchild, however, has since morphed into a monstrosity. Mr. Kopp seems more and more like the protagonist Victor Frankenstein of literary lore, disillusioned by what his ambitions have wrought. Testifying in a lawsuit filed by Kings County, the 84-year-old retired judge of San Mateo County Superior Court says that California's present high-speed rail plan violates the ballot measure that he helped craft and voters approved in November 2008. In essence, he argues, the state pulled a bait-and-switch on voters. Kings County wants the court to enjoin the release of state bond funds until the rail authority's plan adheres to the letter of the initiative. The lawsuit is scheduled for trial in May. If it succeeds, state taxpayers may finally dodge the bullet train. Without state bond money, the rail authority has no fuel to burn. So the good news for California—finally—is that compliance with the initiative's original terms is unlikely if not impossible. Still, killing the project outright is not Mr. Kopp's desire. "I have not changed my position or enthusiasm for high-speed rail in California," he tells me. On the contrary, the San Franciscan bursts with paternal pride. In 1994 he sponsored legislation in the state Senate to study high-speed rail's "desirability and feasibility." Two years later he introduced the bill establishing the California High-Speed Rail Authority to design an 800-mile, zigzagging bullet-train route from San Diego to Sacramento. From 2006 to 2011, the judge served on the authority's board of directors, during which time he helped lead the campaign for the ballot measure that authorized $9 billion in bonds to build the train project. The initiative mandated that electric trains run every five minutes at peak speeds that exceed 200 miles per hour; zip between Los Angeles and San Francisco in 2 hours and 40 minutes; and operate without a subsidy. The rail authority's campaign literature promised that the train would cost $45 billion and be financed primarily by the feds and private investors. Mr. Kopp insists that the rail authority rigorously studied the plan before presenting it to voters. The initiative passed by a five-point margin in November 2008. Over the next two years, the Obama administration gave California $3.5 billion in grants tied to matching state funds on the condition that the state build the first segment in the sparsely populated Central Valley. Mr. Kopp says the Central Valley was chosen because the flat, open expanse was the best place to test trains to ensure they were "technologically sufficient." The Central Valley also happens to be represented by Democratic Rep. Jim Costa, whose vote was crucial for passing ObamaCare in March 2010. Mr. Costa campaigned for re-election later that year by trumpeting the thousands of jobs high-speed rail would create in his district, where the unemployment rate exceeded 17%. Meanwhile—in response to mounting criticism from the state legislative analyst's office and others that the business plan was unrealistic—the rail authority produced a revised plan in November 2011 that raised the train's price tag to $100 billion. Golden State voters were incensed. To mollify them, Gov. Jerry Brown instructed the authority to whittle the cost down to roughly $70 billion by developing a plan for a "blended system." This new plan, adopted in April 2012, would electrify commuter rail in the Bay Area—which had long been on the wish-list of local politicians and transit agencies—in lieu of building dedicated tracks for high-speed trains. Mr. Kopp says that such a system "bastardizes" high-speed rail. Passengers traveling between San Francisco and Anaheim would have to change trains twice—once in San Jose and again in Los Angeles—which violates the letter of the ballot initiative. Trains would also run at most every 15 minutes, not every five minutes as required by the initiative. According to Mr. Kopp, 10 trains must run per hour during peak times to support the authority's ridership forecasts and operate without a subsidy. 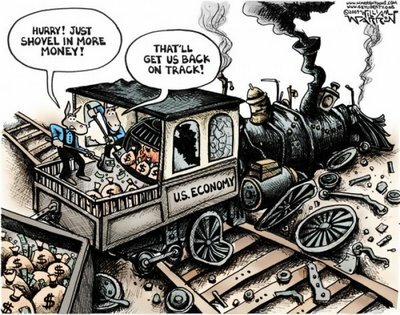 He insists that "the money will come," but only if the train is built according to the original plan. Right now, however, the state doesn't have enough money on hand even to electrify the first 130 miles of tracks from Madera to Bakersfield. Private firms have refused to invest in the project without a subsidy or revenue guarantee, both prohibited by the initiative. There's also some not trivial concerns about safety. To meet the law's required 2 hours and 40 minutes travel time, the rail authority intends for the train to barrel through the Central Valley and Tehachapi Mountains, which are transversed by a fault line, at 220 mph. Mr. Kopp believes that these speeds are feasible. But the fastest train in the world, which runs between Paris and Strasbourg, France, tops out at just under 200 mph. The Chinese reduced their bullet trains' maximum speeds to about 190 mph after a train going 217 mph crashed in Wenzhou two years ago. Forty passengers were killed, and hundreds were injured. According to a recent study by the Reason Foundation, if the California authority assumed top speeds of 200 mph, averaging 150 mph through rural areas—as is consistent with the National Research Council's safety recommendations—the bullet train's travel time would increase to between 3 hours and 50 minutes and 6 hours. It takes about six hours to drive and an hour to fly from Los Angeles to San Francisco. Even so, Mr. Kopp insists that the bullet train could make the L.A. to San Francisco trip in 2 hours and 40 minutes and operate without a subsidy—but only if the state sticks to the plan approved by voters in November 2008. And what about studies that have found only two high-speed rail lines in the world break even? "I've heard that," he says. "But I don't believe it."